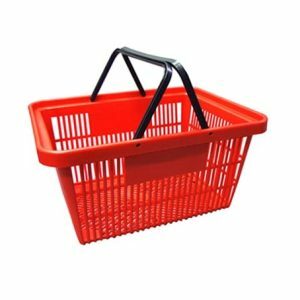 • Two-tier trolley for 20 or 26L shopping baskets. • Easy to manoeuvre, leavers shoppers’ hands free. 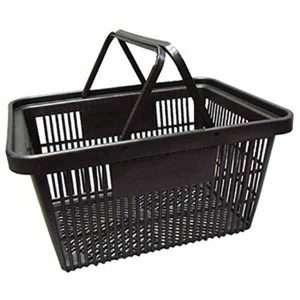 Perfect for liquor stores, convenience stores or other retail spaces with limited aisle space, this chrome-plated basket trolley holds two 20L or 26L shopping baskets or two drink cartons. 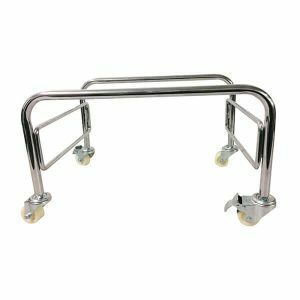 Castors make the trolley easy to manoeuvre, and leave the customers’ hands free for selecting items.